I am super excited to once again participate in The Ultimate Blog Party hosted by Janice and Susan from 5 Minutes for Mom. This year is the 8th year that they have held this event. Being a part of The Ultimate Blog Party is a great way to network and connect with other bloggers. I have been blogging since September of 2007 and this year will be the fifth year that I will join in. For this year I am going to answer some frequently asked questions about myself, my family and my blogs. I have also included a short video and a linky. If you are unable to leave me a comment, or you just want me to visit your blog please link up to either your blog’s home page or your Ultimate Blog Party post. I promise I will visit you as soon as I can! 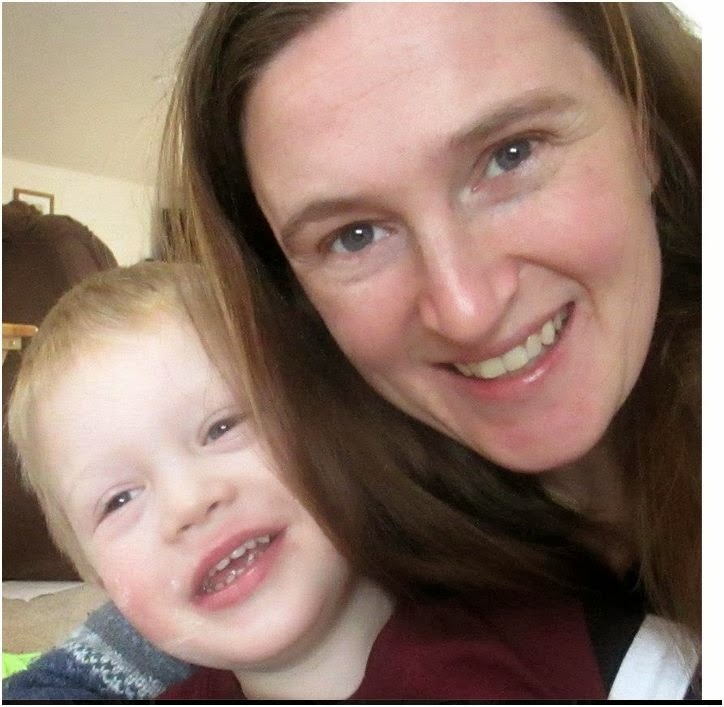 What you may not know about Cascia Talbert and The Healthy Moms Magazine. 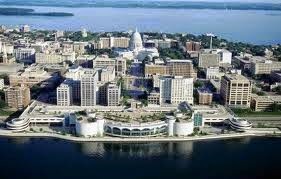 I grew up in a small town near Madison, WI. I lived in Wisconsin until I was 29. That year, 2008, my husband and I fell victim to the housing bust and our home foreclosed. I was only working part time and he got laid off, so we were unable to make our mortgage payments. At the time we already had three children and we needed a place to live. We were fortunate that my husband’s grandmother’s home in Sacramento, California was vacant, so we packed up everything in Wisconsin and moved to California. We lived there for two very long years. Today I live with my husband and five children in a small college town just outside of Spokane, Washington. Chris (my husband) works in sales and Spokane is part of his territory. Unfortunately, all of my family (except my sister who is in Los Angeles) live in Wisconsin or Illinois and Chris’ family lives in Sacramento. We have lived here for three years. 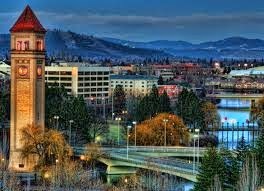 What do you like about living in Spokane? 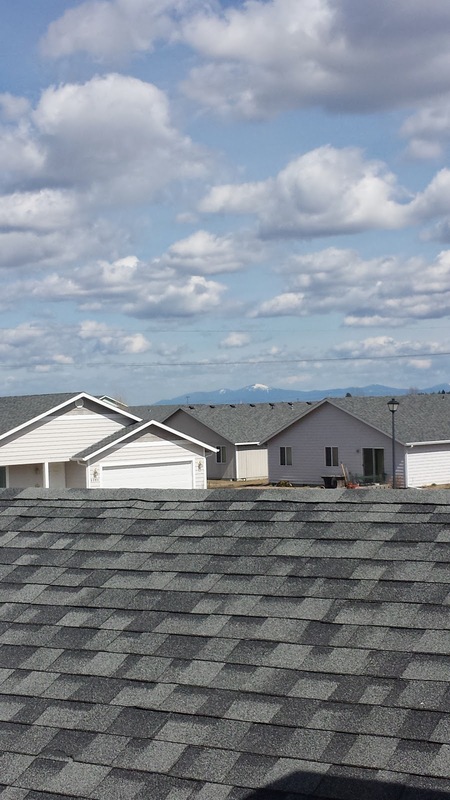 I love looking out my bedroom window and seeing the mountains on a clear day. The people here are very friendly and down to earth and everyone values sports and an active lifestyle. The schools here are excellent and there is a ton of activities out here for families. Spokane is a great place to raise your children. The population is just right, not too large, and not too small. Traffic is reasonable. Even during rush hour it only takes about 15-20 minutes to get to down town Spokane from where we live. The only thing I do not like about Spokane is the climate. Most days the wind blows at least 10-15 miles per hour and the winters are long. Winter usually begins right around Halloween and ends sometime in April. Spring is short lasting from April through May. By June we have temperatures reaching 70 degrees, but it is still windy. July and August are the only warm months in the year. We are lucky if the temperatures get above 90 degrees during those months. Rarely does it hit 100. In September and October the winds pick up, the temperature drops and the trees are bare before Halloween. This is the beginning of my yearly hibernation. How many children do you have? Tell me a little about them. I have five children. My oldest is seventeen, the next oldest is eight, followed by my three boys ages six, four and three. Four of my children have special needs. My seventeen-year-old and six-year-old both have high functioning autism (formally Asperger’s). My eight-year-old has trichotillomania which is a disorder that causes her to pull out her hair, eye lashes and eye brows. My four-year-old has learning disabilities. All of my kids are happy and healthy and bring me joy every single day. I started The Healthy Moms Magazine in September 2007. You can read my very first post HERE published on September 25, 2007. I originally started blogging because we needed a little extra income and I read online that you could make money blogging. I researched popular niches for blogs and learned that the health niche was exploding. This was wonderful news because I was already passionate about healthy living. I was only working part time, so I had the free time in my schedule to start a blog. But, I never imagined what this little website would turn into six years later. I have learned so much over the years about producing good quality content, the importance of networking with other bloggers, and promotion through social media. Today, my blog is known as “The Number One Health Blog for Moms.” I write educational articles on a variety of health, fitness and parenting topics. My articles have been featured on Tend, Wellsphere , Google News, and News360. I have also featured several health experts and popular mommy bloggers. I offer a variety of services for brands and have a loyal following on Google+, Twitter, Facebook, Pinterest, Stumble Upon, and LinkedIn. My blog has grown so much that I realized that there was a large demand for mommy health bloggers like myself to connect with each other and connect with brands. Last summer I launched Healthy Moms Media and re-launched Healthy Moms Social. Healthy Moms Media is the name of all three sites combined, The Healthy Moms Magazine (thehealthymoms.net) Healthy Moms Social (healthymoms-social.com) and HealthyMomsMedia.com. My goal is to reach out to and connect with as many bloggers who share a passion of health and wellness like myself and connect them with the brands that I am in contact with every single day. My network is still in it’s infancy but potential for growth is enormous. Join Healthy Moms Social HERE so you can get in early. I am also looking for serious bloggers to help contribute to The Healthy Moms Magazine and help grow the Healthy Moms Media network. Please visit This Link for details. Do you live what you preach? Absolutely! In fact this blog helps keep me in check. I make sure I work out five days a week and enjoy running when the weather is nice. I always tweet out my runs. I eat a clean diet high in lean protein and plant based foods and I am very strict about what I feed my kids. I firmly believe that parents need to be well educated on healthy living and show a good example for their kids. We are our children’s first teachers. They admire and look up to us every single day. Little kids learn by copying their parents. It is very important that we live in a way that we want our children to live. If your son sees you sitting on the couch every single night eating a bag of potato chips and drinking a can of soda while watching TV he is going to believe that it is okay to do those things. On the other hand, if your daughter sees you working out to a fitness DVD in your bedroom she is going to want and probably will join you. Lead by example. If you have any other questions for me please leave them in the comments or you can tweet them to me at https://twitter.com/cltalbert . I try my best to reply or favorite all of my notifications on twitter. Please link up if you are participating in The Ultimate Blog Party 2014. Ms. Talbert runs the Healthy Moms Social Network , is the founder of Healthy Moms Media, and also blogs at talbertzoo.com. 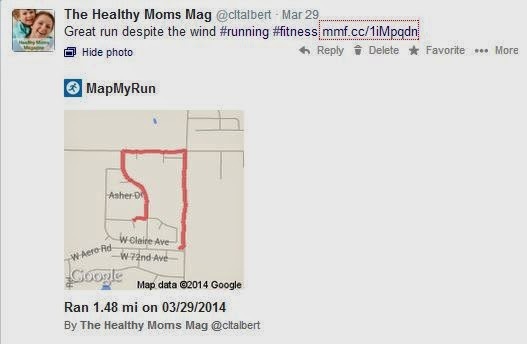 You can follow her on facebook.com/TheHealthyMomsMag, and twitter.com/cltalbert.